To assist the Greater Owensboro Chamber of Commerce in building membership involvement, recruitment and retention. 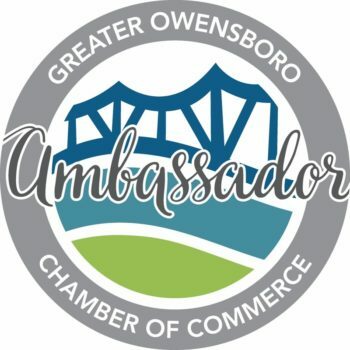 The purpose of the Chamber Ambassadors is to fulfill the mission statement as well as attend various Chamber functions and meetings while being the face of the Chamber in our community to local businesses who may or may not be Chamber members. Chamber Ambassadors are a support system of the Chamber of Commerce and are a vital aspect of the Chambers growth and success. • Providing member visits throughout the year on behalf of the Chamber. • Attend Chamber events such as Business After Hours, Golf Classic, etc.